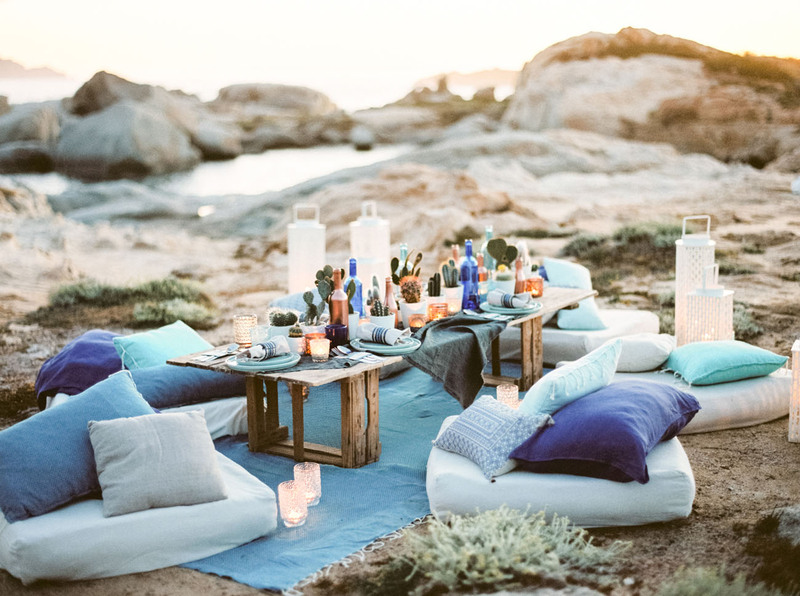 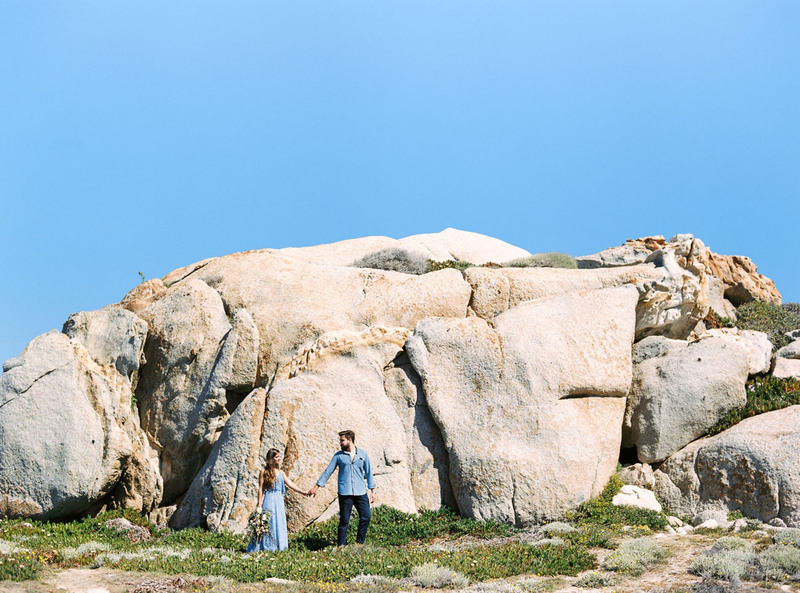 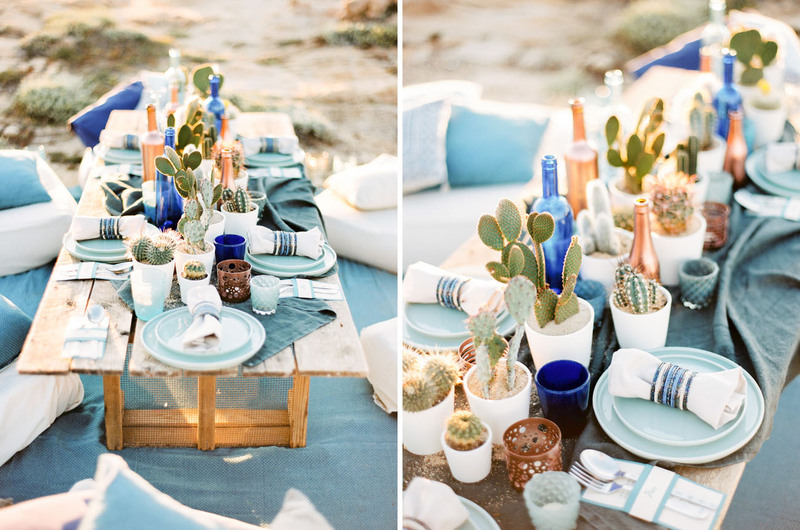 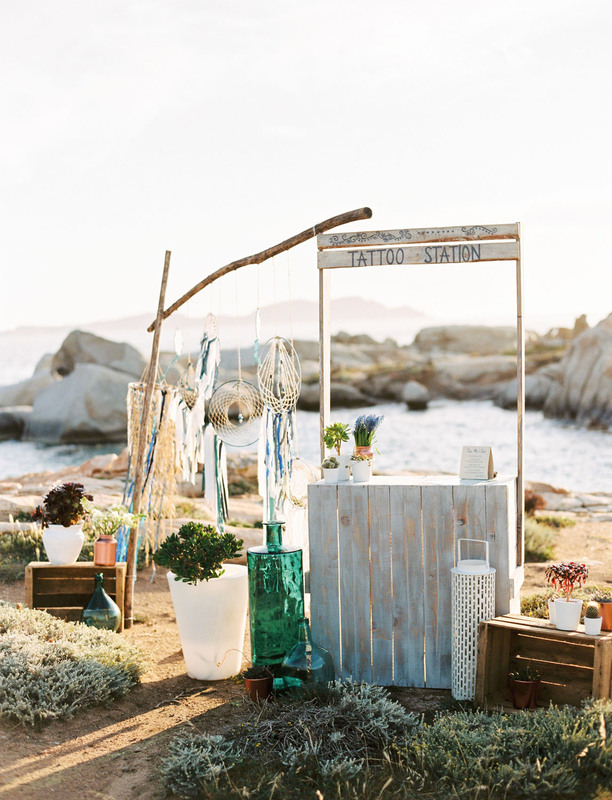 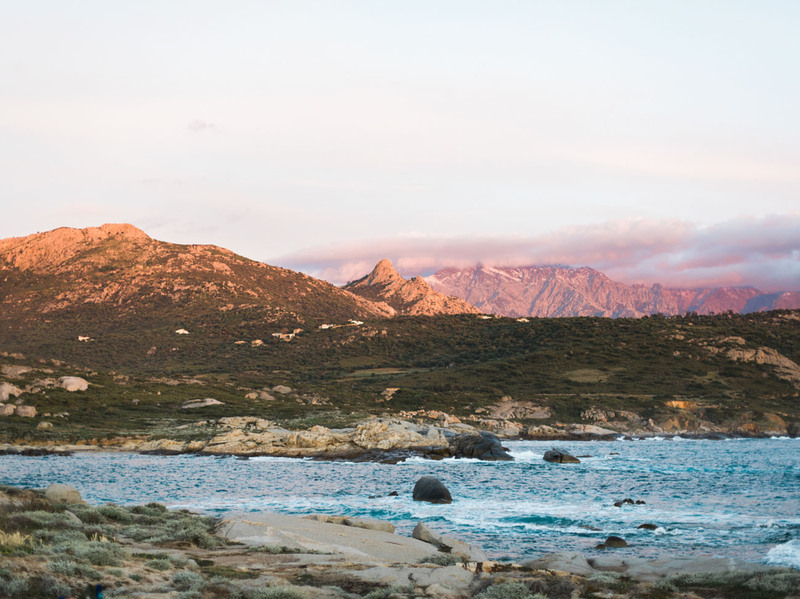 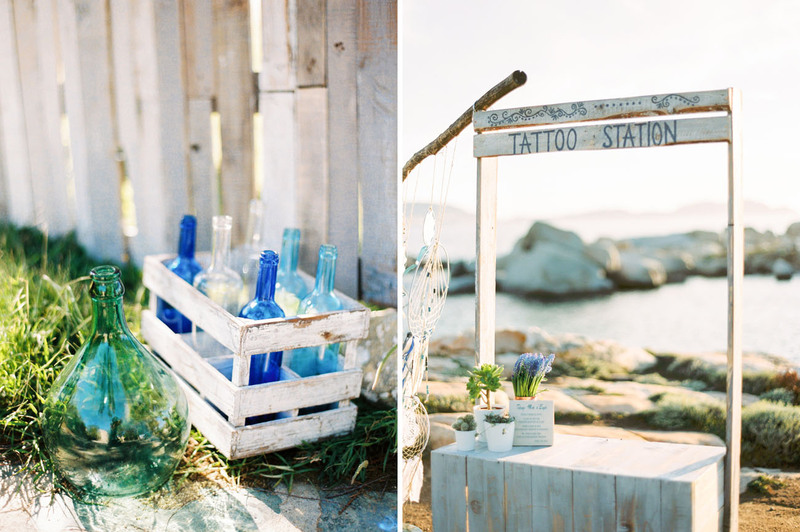 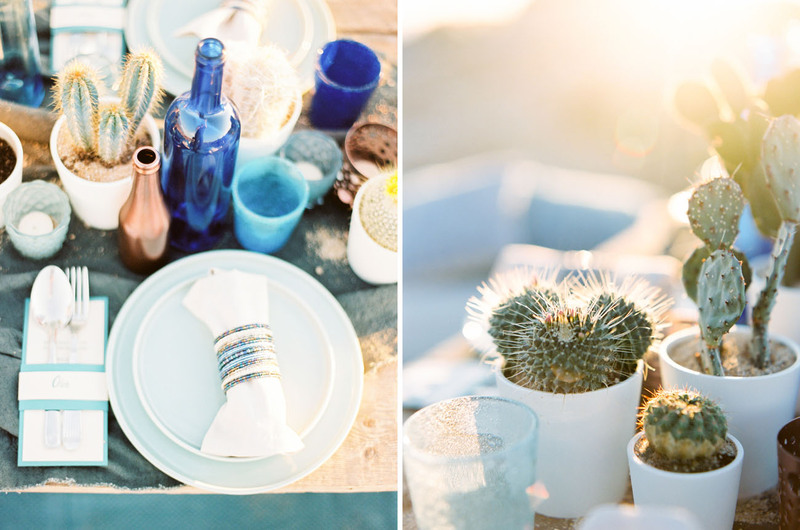 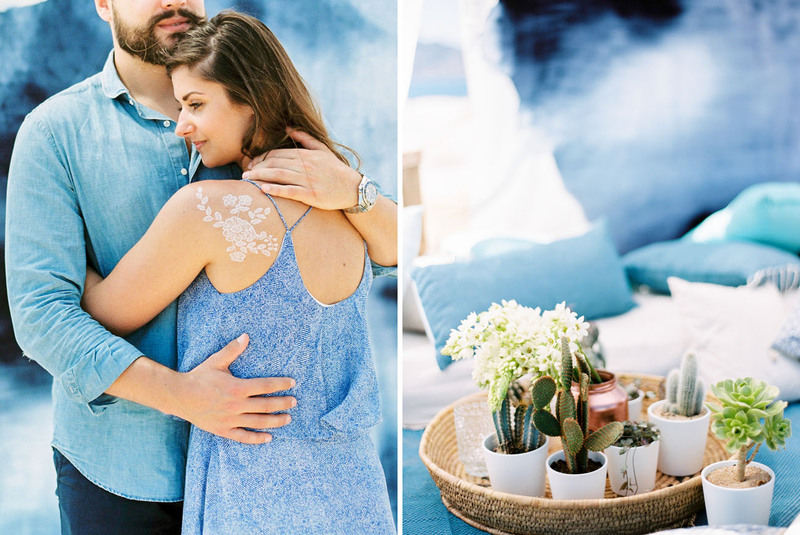 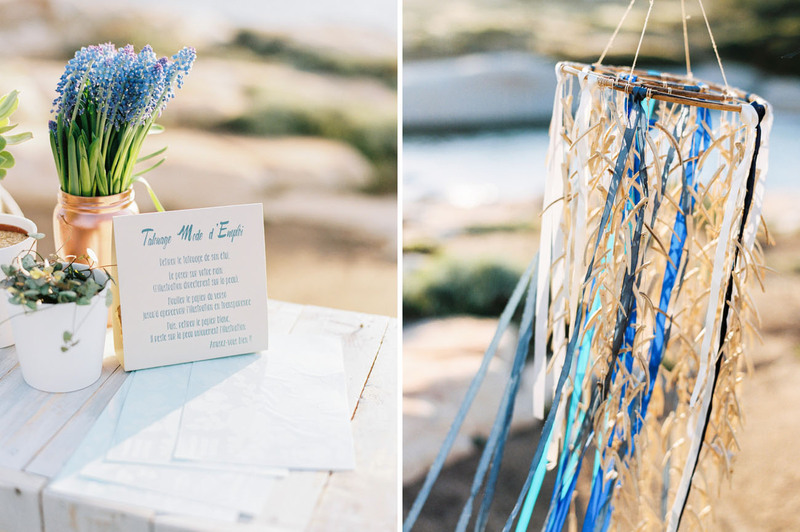 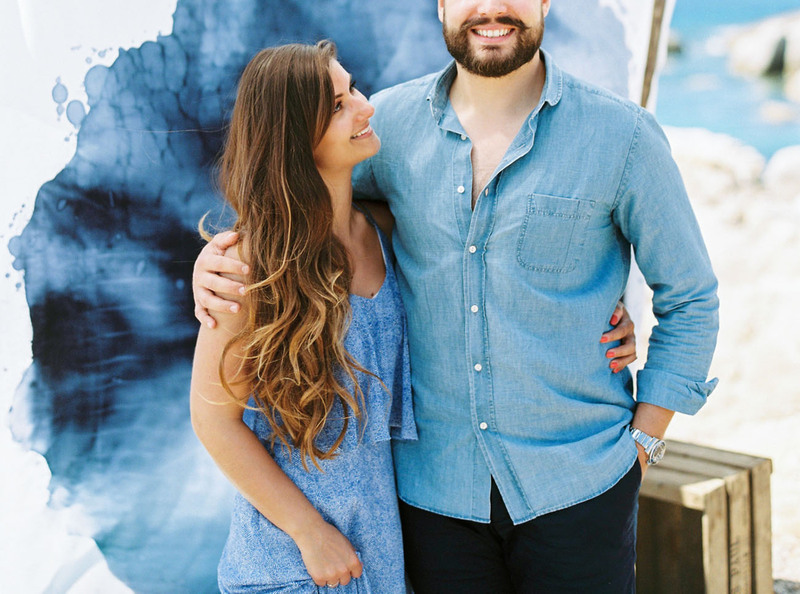 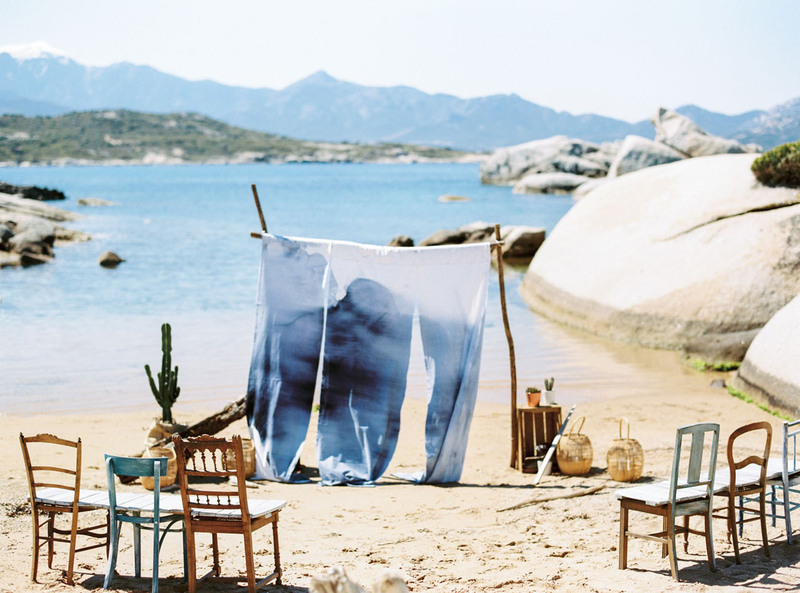 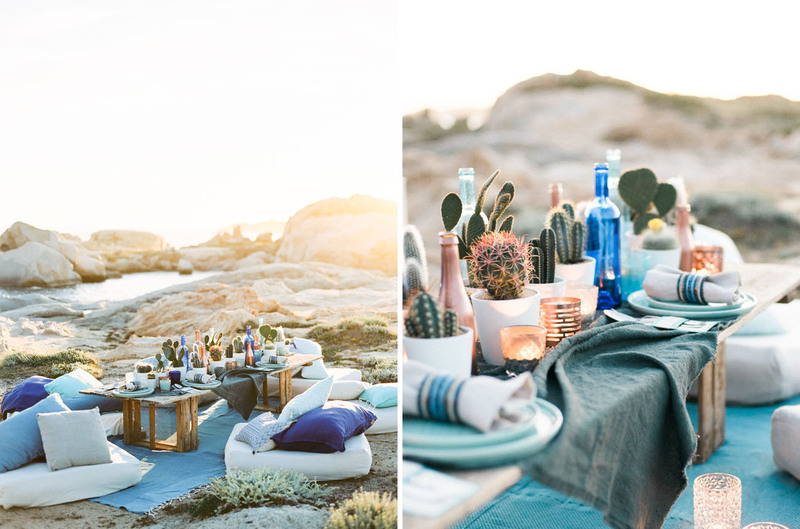 Inspired by the awe-inspired shades of blues of the sea in Calvi, Corsica, today’s styled shoot whisks us away to France, and we are already considering not ever coming back! 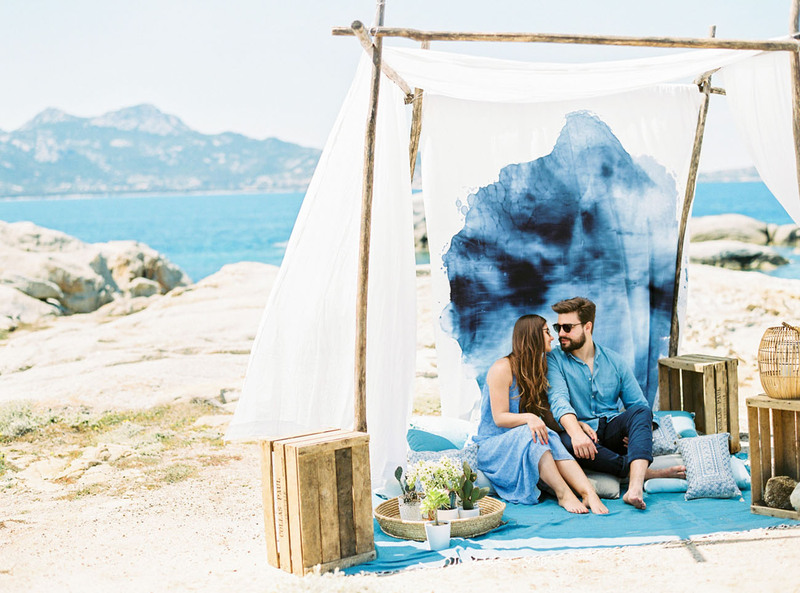 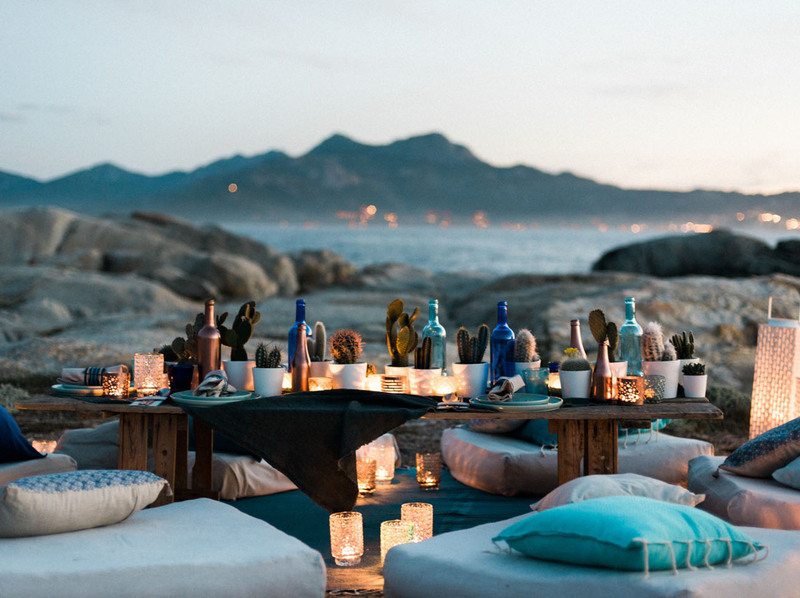 Dreamt up by event designer, By Mademoiselle C, this editorial is filled with ethereal ideas that are perfect for an intimate seaside wedding, a cozy picnic-style engagement party on the sand, or even just a relaxed, yet stylish, summer fete! 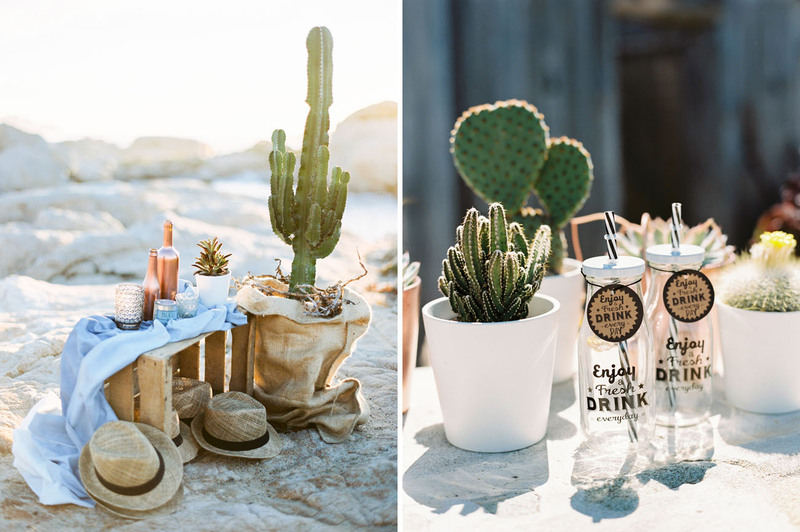 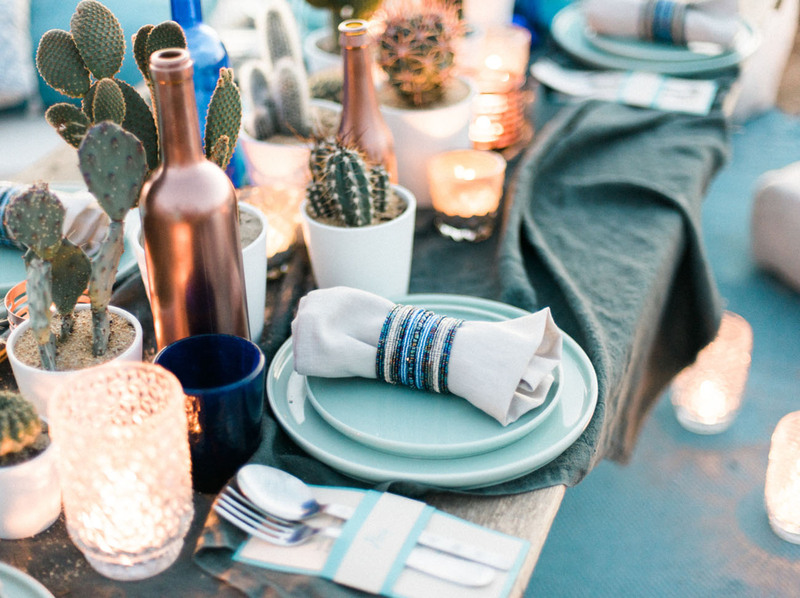 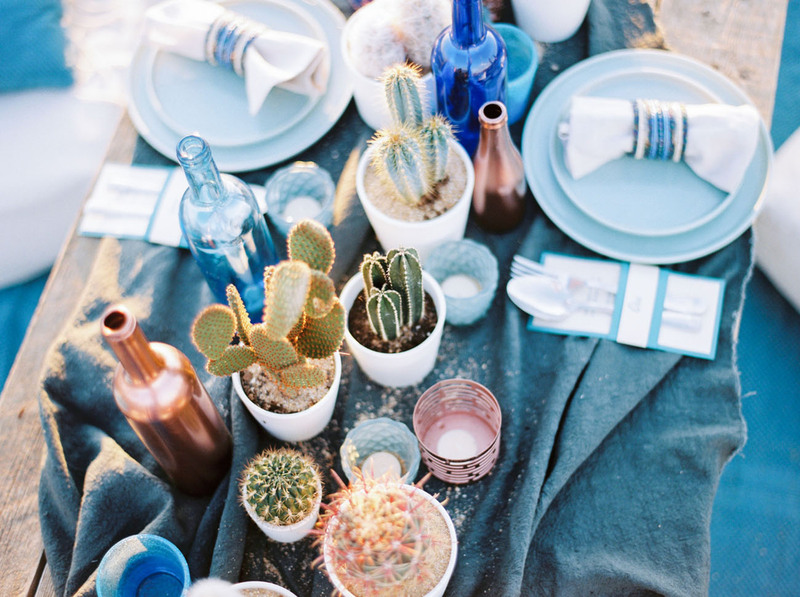 From the earthy vibe of the florals, to the hand-dyed textiles seen throughout the setting, to the cactus, copper and candlelight adorning the tablescape, the atmosphere of this editorial – captured on camera by Marion Heurteboust – has us feeling those summer feels and we definitely aren’t complaining! 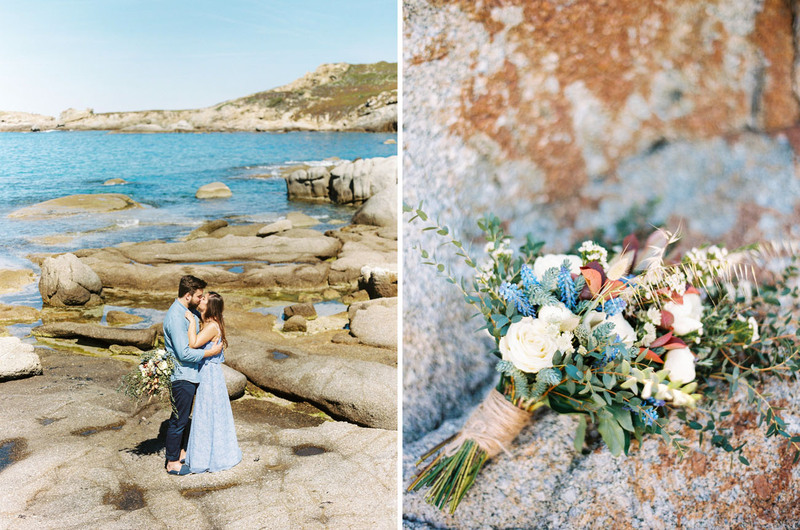 L’Arrosoir de Margaux put together the pretty florals, which were perfectly on palette with the details + natural beach backdrop. 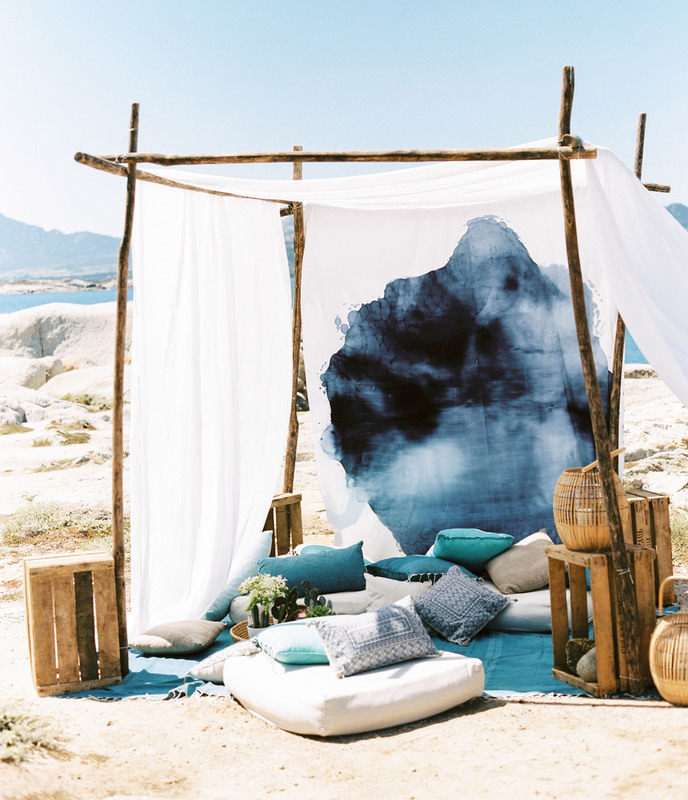 What a dreamy lounge vignette! 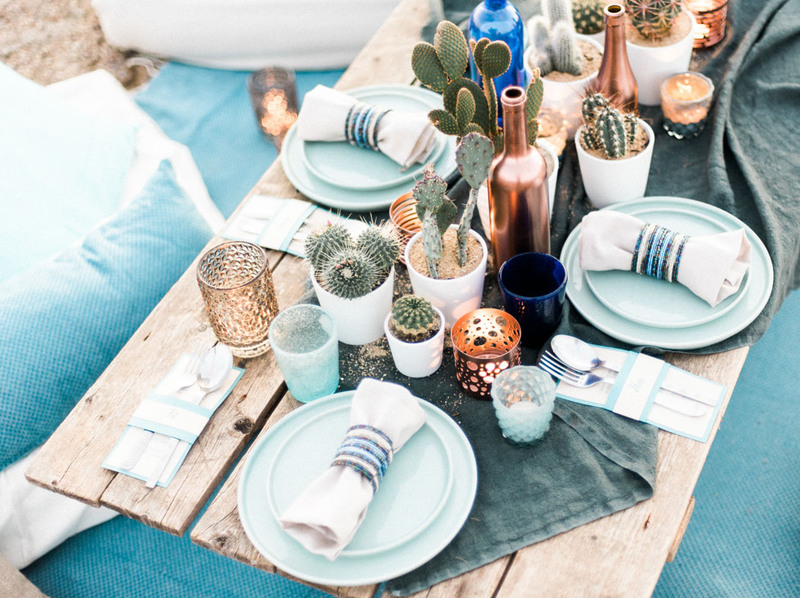 We definitely wouldn’t mind grabbing a seat, err pillow, at this stylish table! 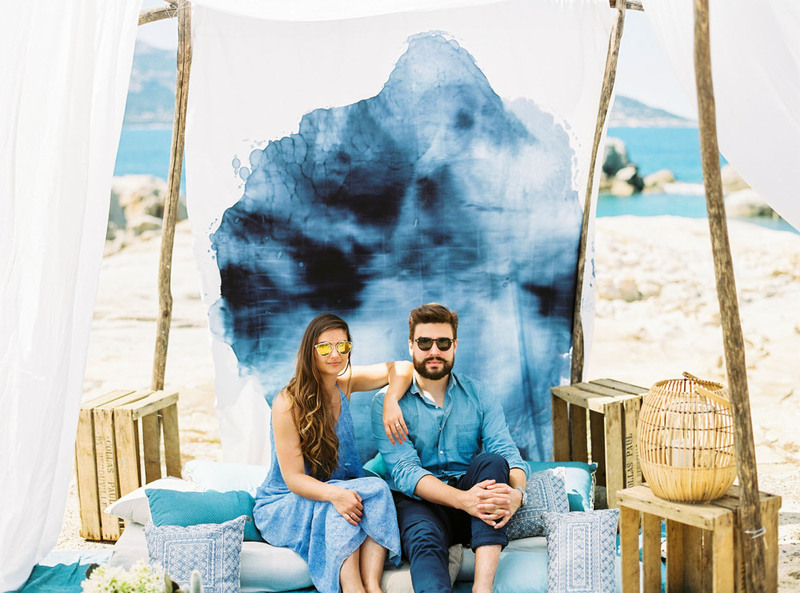 The dyed fabric on the ceremony arch makes such a statement! 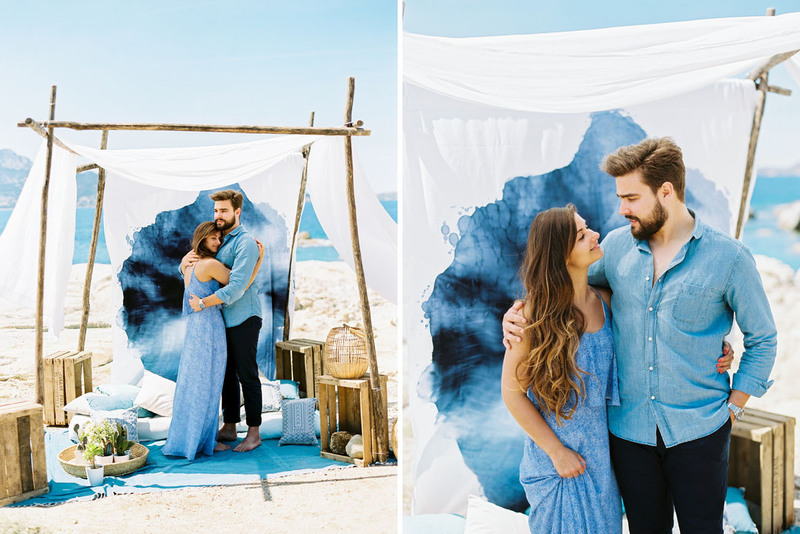 I’m really loving creative backdrops for adding a unique + personal touch to a couple’s ceremony. 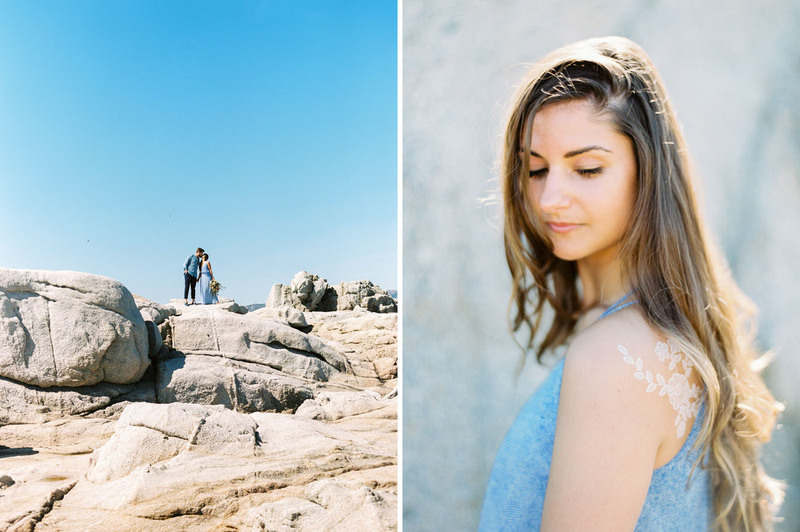 Great work from the shoot team!